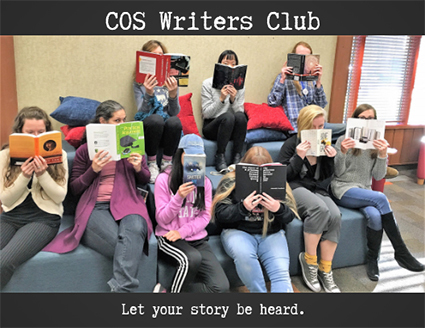 The College of the Siskiyous Writers Club mission is to unite writers throughout COS and provide a supportive and resourceful Writers Club that will encourage people's love of writing for hobby or career. The purpose of the COS Writers Club is to provide a positive, open and friendly environment for developing and sharing writing of all styles. The COS Writers Club is open to COS students, faculty, and staff. Wednesdays at 3:30 pm in the Academic Success Center.